was a huge success with more than 1,400 attendees! This quilt show couldn't have happened without the hundreds of gorgeous quilts created by the Prince Edward County Quilters' Guild members over the last two years! What a wonderful way to showcase their quilted works, art and love of their craft. 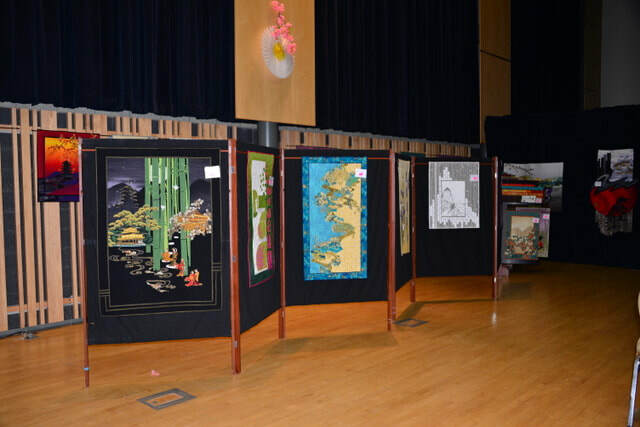 The public thoroughly enjoyed the variety of quilts.....definitely a quilt for everyone's taste. The PECQG Members, their friends and family! 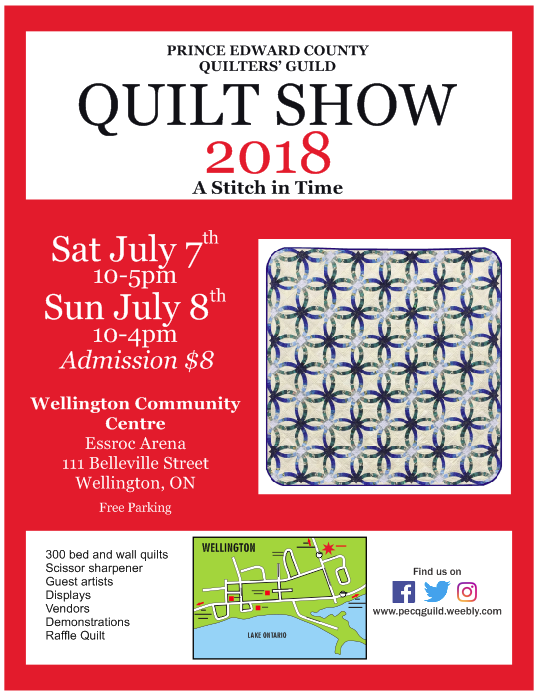 Geraldine Rorabeck of Picton Fabric World for her continuing support in both the PECQG Quilt Show and our Guild. And you, the public for attending the show and buying our raffle tickets, I thank you! **Guest Artists: We are had two very different groups as guests. ​2018 Raffle Quilt: Double Wedding Rings of Blue approx. 104"x104"
The last of 5,000 printed raffle tickets "sold out" by 1pm July 8, 2018. 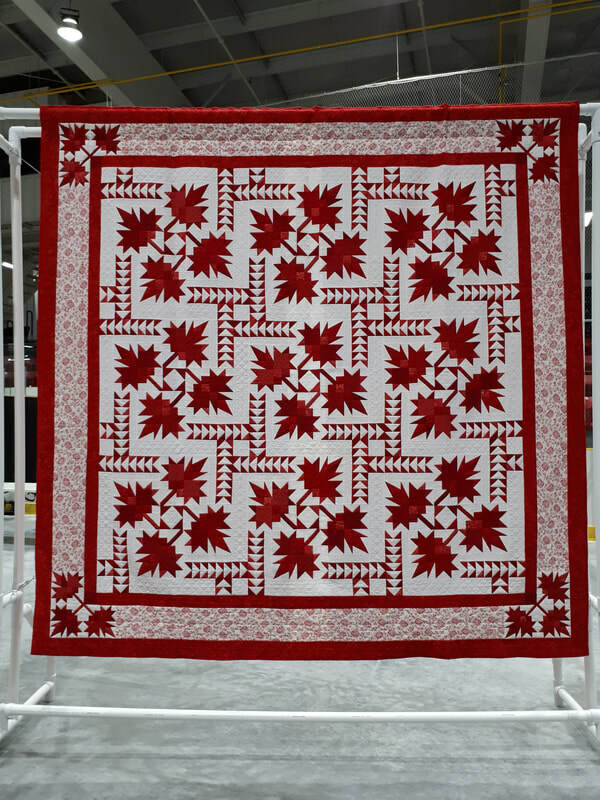 Our Raffle Quilts provide funds for Guild Educational Activities and local Charities. The gift basket was won by D'thea Webster of Kaladar, ON. 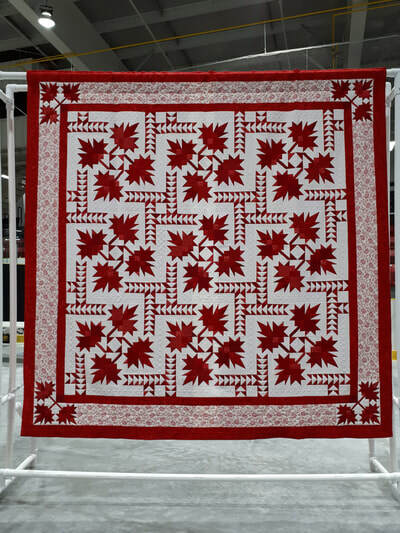 An "in house" draw for a Mary Pease quilt was won by PECQG Member Lyne Lusk. 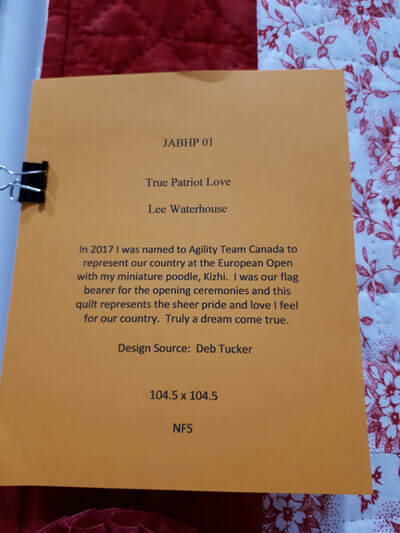 Lee Waterhouse won Best in Show for her "True Patriot Love" quilt shown below. 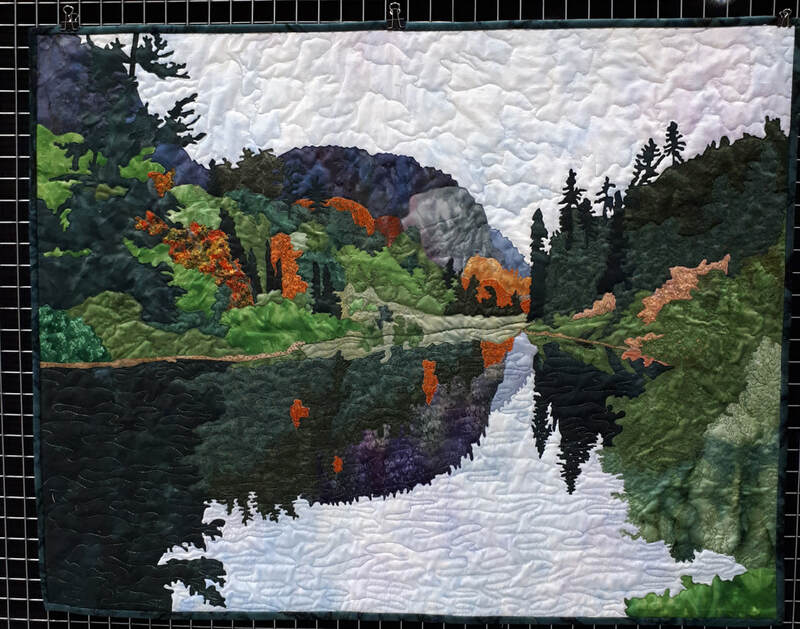 ​Bill Stearman won Viewers' Choice Bed Quilt for his "My Left Brain" quilt. 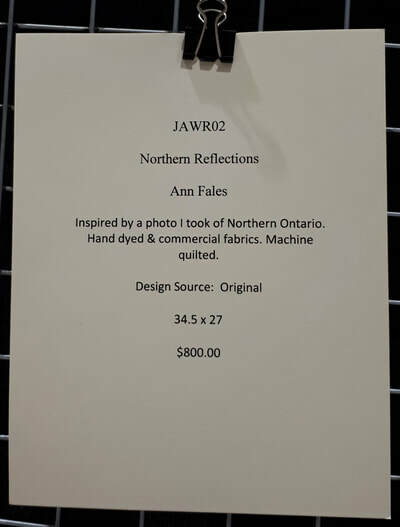 ​Ann Fales won Viewers' Choice Wall Quilt for her "Northern Reflection" piece. Our Boutique showcased some new racks! 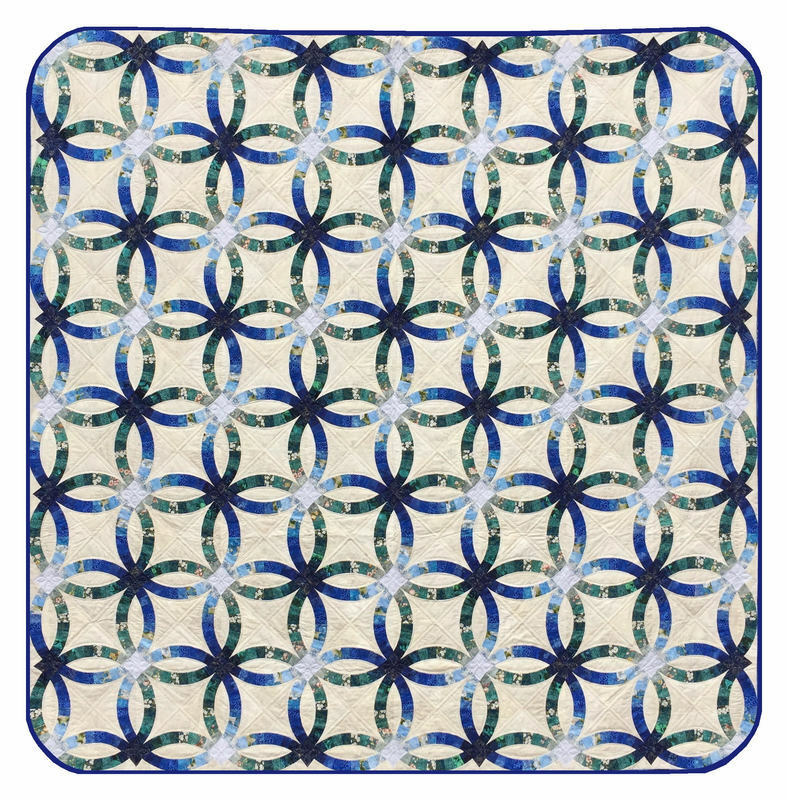 In early November 2017, Helen Fujiki gifted the PECQG her personal portable quilt racks! They are gorgeous, thank you so very much Helen!